It has been uncertain times here in the UK with Brexit impacting negatively on the pound, it makes travelling overseas just that little bit more painful on the finances. 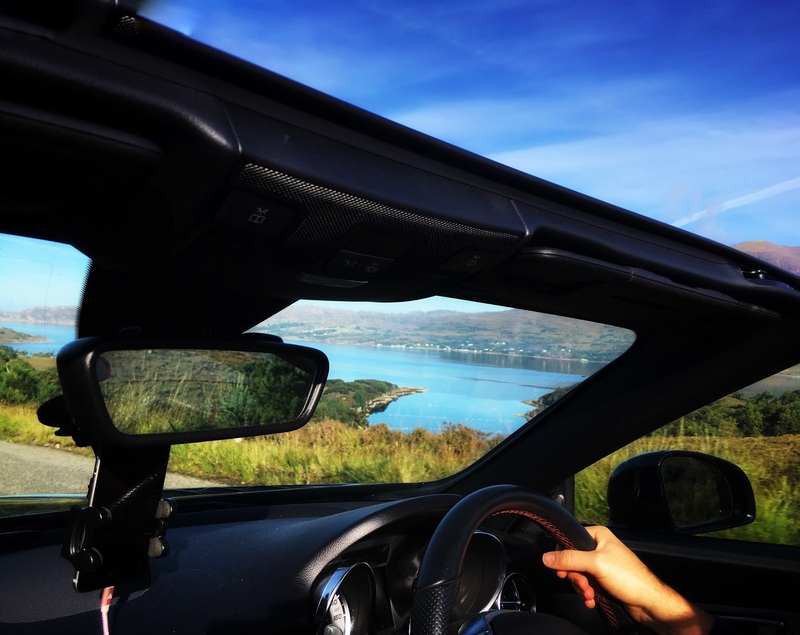 So if you're ever thinking about doing a staycation this year (or anytime) you may want to holiday within the UK this time - up in the Highland's of Scotland. Hubby and I ventured up for nearly a week and decided (rather foolishly) to make it a road trip. The destination? Torridon, one of Scotland's less known about but stunningly beautiful areas up in the highlands. You may want to check it out too so I've put together a wee post about the trip. The drive can be arduous once leaving England, lorry after lorry, road works, slow drivers & camper-vans holding up traffic combined with Scotland's unusual speed limits on trucks. If you're happy to go slow well you'll be fine and dandy but it was a little frustrating. 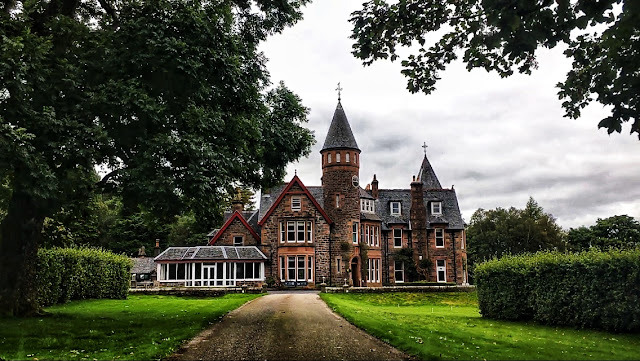 A good way to break up the trip is by staying the night in Edinburgh (or halfway point Moffat (we stayed here on the trek back)), and use the stopover to check out one of the worlds most beautiful bars. 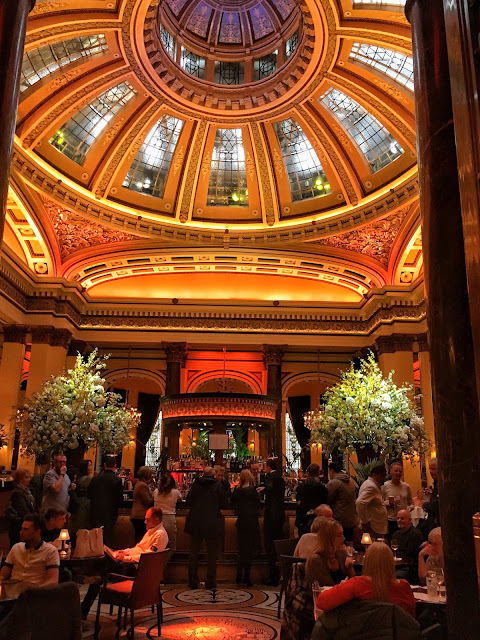 The Dome in Edinburgh a former bank and now one of the most grandest bars you will see. 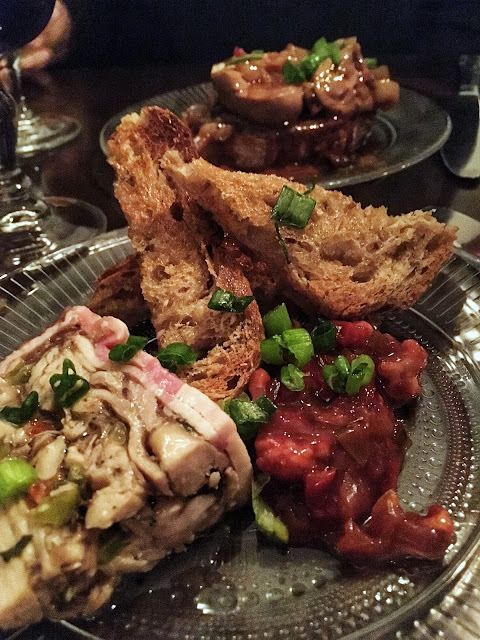 If you want something authentic food wise, that doesn't involve any deep fried chocolate bars, grab a bite to eat at quirky restaurant The Dogs where the chef is serving modern, yet deliciously wild Scottish food. Both are within short walking distance of each other. Service is a little slow at The Dome Bar, but they make fantastic cocktails so if you exercise a little patience you will be rewarded. Meals at The Dogs are very impressive, the restaurant is a little quirky and hidden away in an upstairs townhouse. 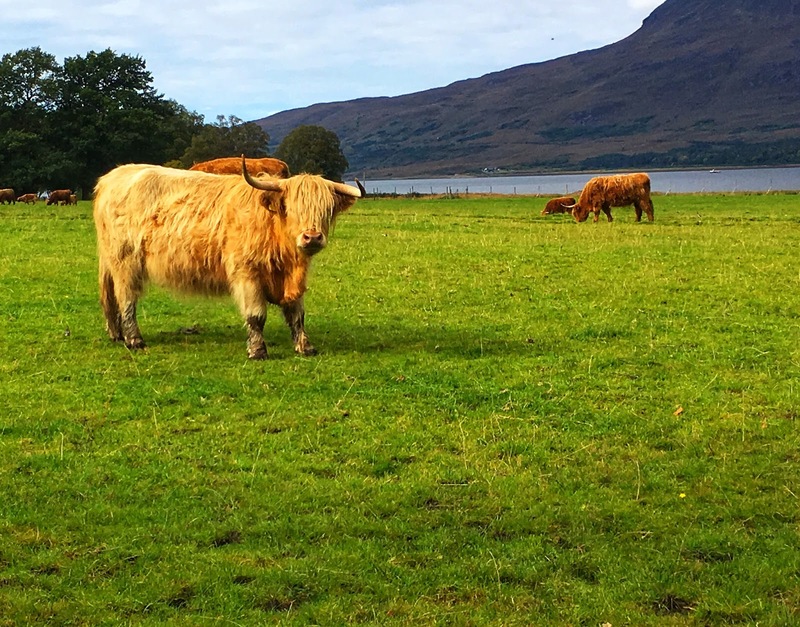 It consists of a room with a small bar, but you'll find the chef pushing out fantastically rustic and authentic Scottish food. Leaving the city, the scenery from Edinburgh to Inverness is mostly a few rolling hills (yes they are just hills from where I'm from) but after Inverness and heading to Torridon it takes a dramatic turn. There are huge beautiful lochs and bays with mist covered mountains so be sure to stop off and enjoy the views, where permitted. 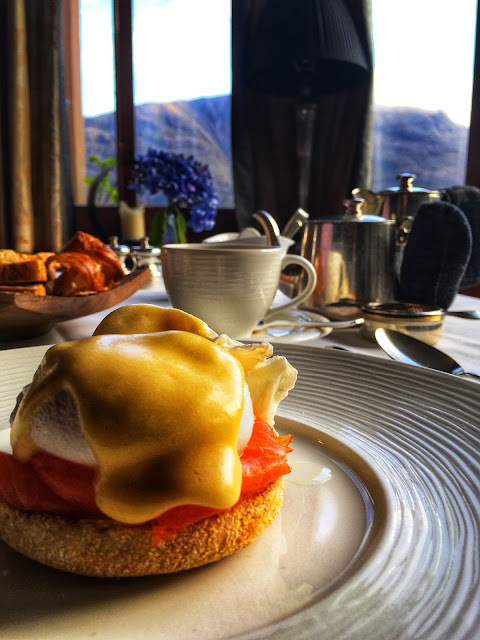 Finally arriving to our destination at the Torridon Hotel & Inn right on the banks of Torridon Loch was the sense of immediate quiet, space and relaxation. The hotel is a former hunting Lodge of the first Earl of Lovelace. 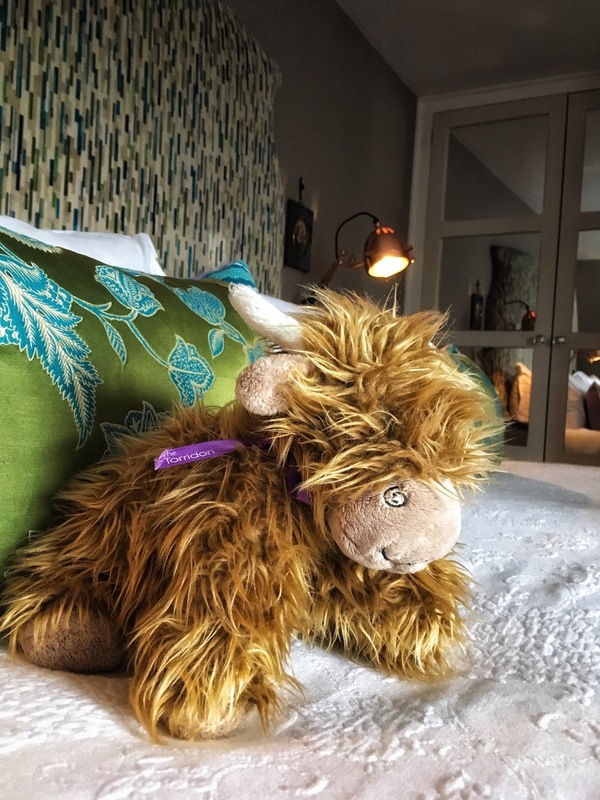 You can stay in the lodge itself or at the Inn which has rooms at a more reasonable price, from here you can enjoy the range of activities the Hotel has to offer. The Hotel sits on 58 acres and has hiking, archery, clay shooting and kayaking to name a few. Food is served from their pub everyday and of course from the Hotel restaurant which offer A La Carte and tasting menus. I found both excellent for eating, you must try the local Torridon Salmon and the Oysters. 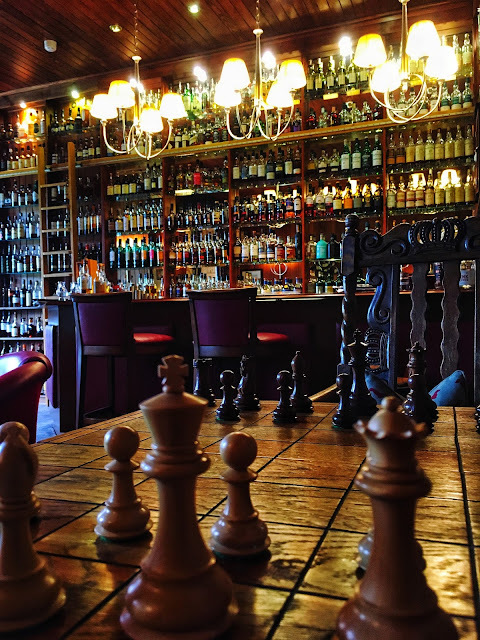 The Hotel also boasts of an award wining Whisky bar, over 400 whiskeys housed in the bar, its actually quite an impressive sight. They have Whisky tastings that can be arranged in advanced or you can just simply enjoy a tipple yourself, I'd recommend trying the 18 year old Tallisker. We were recommended it from a retired lawyer (obviously very experienced ;)) whom we shared a post dinner tipple with. The wifi at the hotel is rubbish (they really need to sort this) and beware if you are on 3 mobile, there is no coverage. 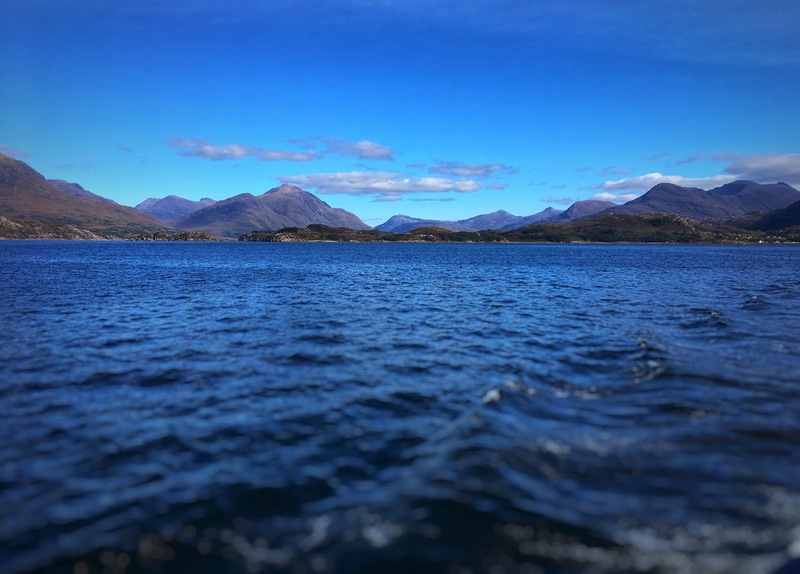 There are many active excursions to do, make sure you head over to the next town of Sheldaig and take a boat trip on the loch and out to Red Point just across the water from Isle of Skye. There are plenty of sea life from seals to sea hawks and porpoises, if you're lucky like us we saw all three and more. If you like a bit of exercise, head up into the hills behind the Hotel, there is a moderate walk up to some waterfalls and a longer hike of around 4 hours to the top of the mountain. We ran out of time so I've planned to do this hike on our next trip.